In Exeter, thousands of students sign up to over 180 different Guild-affiliated societies. These societies cover a wide range of activities enabling our students to get fully involved with university life. Societies range from the conventional (such as English Soc, Ski Club, Photosoc and Jazz Orchestra), to the more esoteric (such as the Chocolate Society and Hide and Seek Society). You can get involved with the running of any of these and if there’s a society you want that we don’t have, we’ll help you set it up. The full list is available on the Guild website. The range of clubs and societies is a cornerstone of the Penryn Campus, with FXU providing practical support, as well as subsidies for many activities to help reduce the cost of getting involved. Clubs vary from the traditional sports of rugby, football and hockey to the more unusual paddleboarding and Tremorz (street dance). Other popular groups include the Hip Hop Society, Exploration, Bee Soc and the Renewable Energy and Sustainability Society. There’s an ever-growing list of student clubs, so if we don’t currently have the one you want, FXU will help you set your own up once you’re here! The full list is available on the FXU website. "Getting involved with Guild elections and societies has helped me make some of the best friends I have had at university. Being on committees for societies and being involved with academic representation has given me experiences to talk about at interviews for placements and jobs. Exeter is an incredibly fun and inclusive place if you come in with an open mind and get involved with everything that’s on offer." "Here at the University of Exeter in Cornwall you have the wonderful opportunity of studying at one of the best UK universities. Exeter shares its Penryn Campus with Falmouth University, which enriches and diversifies your academic and extra-curricular experience. I made the best choice studying here, where else would you have the opportunity to experience the personality of a small campus at a Russell Group university, along with an amazing seaside lifestyle?" Our award-winning student media network is one of the most vibrant in the country. Based on the Streatham Campus, X-Media is made up of three student run media outlets Xpression FM, Exeposé and XTV, providing Exeter with high quality radio, news and TV shows, respectively. Involvement in the Guild’s media outlets has provided the springboard for the careers of several famous Exeter graduates, including Thom Yorke of Radiohead, who was a DJ, and Emma B, who was a Guild Sabbatical Officer. Several of the station managers who have been in control at XTV are now working in the television industry for companies such as the BBC, Carlton and FoxTel in Sydney. Previous members have also used XTV to build portfolios for film school applications and to get into television work. To find out more, please visit the Student Media website. In Cornwall, students run a newspaper called Flex and a radio station called Radiowave. Flex has an amazing 130 contributors from across all the programmes at the Penryn Campus who regularly submit work. It offers the opportunity for ambitious students to showcase their talent while gaining valuable work experience. X-media, and especially XTV, has been the making of my time at the University. I have learnt so many skills crucial to a career in media and have had experiences that few people will gain at other universities, which only the National Award winning station can provide. Raise and Give (RAG) is our student fundraising group in Exeter. In 2016/17 RAG raised £255,982 through the hard work of more than 1,000 students who volunteered their time to raise money for local, national and international charities. Exeter RAG host a multitude of events each year and organise international fundraising excursions, including treks to Machu Picchu and Everest Base Camp, marathons and more. Exeter Student Volunteers (ESV) run community volunteering projects including: Summer Adventures – a summer camp for young carers, community cleaning and dog-walking projects. In Cornwall, FXU Community Action provides plenty of opportunities to volunteer locally and fundraise for national and international charities through Raising and Donating (RAD) activities. The FXU takes pride in its close links with the community. Regular partners include The National Trust, Surfers Against Sewage and the Monkey Sanctuary, and last year students undertook in excess of 266 volunteer days. But the opportunities vary so widely mainly because it's the students who decide who they volunteer with and fundraise for. Recently this has included Rally 4 Shelterbox and RNLI, as well as an appearance on the BBC’s Children in Need. Each year sees increasing numbers of students volunteer; being part of the RAD team gives you the opportunity to make a difference, gain experience, make new friends and boost your CV. For more information please visit the FXU website. I got involved with Community Action, the student volunteering organisation, in my first year, volunteering on a project for older people. I absolutely loved it and had no idea it would take me on such an exhilarating, enjoyable and exciting journey. In my second year I sat on the Project Leader and Management Teams of Community Action, and now I’m one of the Officers who oversee the organisation. From the start I wanted to get as involved as possible, and the more I did, the more I realised how much Community Action and the Student’s Guild could offer. 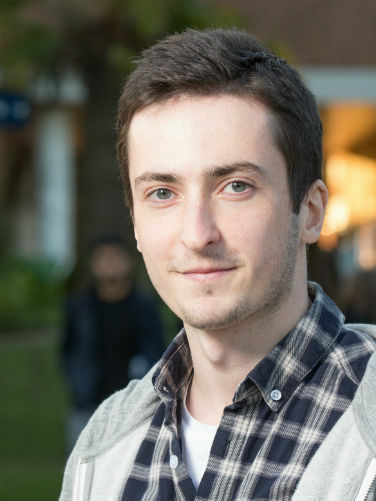 I’ve learnt skills which are sought after by employers, made friends for life and can confidently say it was Community Action which shaped my student experience at Exeter. It’s also given me the chance to work alongside members of Guild staff, get involved with other Guild societies, and work in the Guild Bars. I’ve made strong friendships with a wide range of people because of it. The best thing about being involved with the Student’s Guild is feeling part of something, and being able to bring this sense of communality to other students. It was scary going to university at first, but when I found a society I enjoyed I felt a lot more settled. I quickly fitted in and became friends with people who weren’t in my halls or on my course. The Expedition Society has given me the opportunity to try things I never would have dreamt I’d have the courage to do, all while having a blast with great friends. Being on the organising committee I’ve developed a heap of important skills and I love giving something back. "Outside academia there’s so much to get involved with." "From volunteering, to societies and sports, there are extra-curricular opportunities for everyone. This has given me the chance to meet and become friends with some incredible people. Exeter has a close-knit student community, with both campuses close to the city centre, so you’ll often see someone you know whether you’re working in the library or going shopping. Together, these things lend themselves to the friendly atmosphere of both the University and the city, and have made me fall in love with the whole experience."